Pro Tools 12 gives you everything you need to compose, record, edit, and mix great sounding music and film/TV soundtracks. Faster and more easily. That’s why more artists, producers, and mixers use Pro Tools than any other DAW. And it keeps getting better. Get started with this version of Pro Tools, no Avid hardware needed and you get to enjoy the majority of features found on the HD version. 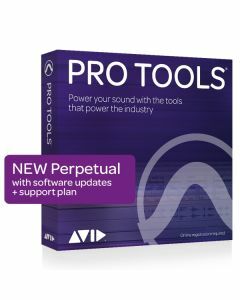 Also included is Avid's Annual Upgrade plan which provides free upgrades to the latest versions of Pro Tools 12.